Scott's practice is devoted to the representation of clients in business disputes, often in the employment context, as well as providing advice to employers and senior executives regarding employment matters. His clients are local and nationally known companies in the real estate, marketing, financial services, executive recruiting, professional services, transportation, retail and manufacturing industries, as well as owners of closely-held companies and individuals with the need for sophisticated representation. Scott represents clients in commercial disputes involving breach of contract, fraud and fraudulent inducement, fiduciary duty obligations, commercial real estate, and asset recovery. Defense of a real estate development group of companies and their principals in over 50 separate lawsuits, including 2 class actions, involving claims of breach of contract and fraud. Prosecution of a claim by a closely-held fragrance supplier to an international retailer against a competitor and its affiliates for breach of a non-disclosure and non-solicitation agreement following unsuccessful merger negotiations. Dismissal of a consumer deceptive and unfair trade practices lawsuit brought by the Florida Attorney General, following a three-year investigation and two years of litigation, which concluded with the Attorney General dismissing all claims and agreeing to a settlement with the defendant companies for a sum of less than one percent (1%) of the amount originally sought. Recovery of 100% of principal and interest of a multi-million dollar loan despite the filing of an involuntary bankruptcy action designed to avoid a UCC auction of secured collateral through the sale of a premium Internet domain name that generated the then-highest recorded sale price in history. Trial victory in New Jersey Superior Court for our medical technology client successfully asserting a breach of contract claim against its former marketing "partner". Multiple dismissals of claims alleging fraud and fraudulent transfer seeking damages and a constructive trust over more than $200 million in monies. Following successful preliminary motion practice, resolution of a class action on behalf of a public corporation against which plaintiffs alleged fraud and breach of contract for .001% of the amount initially sought. Representation of a financial institution in the foreclosure of a multi-million dollar portfolio of loans secured by commercial real estate that involved litigating contested claims and third-party actions and culminated in the sale of the distressed debt, while managing governmental, political and public relations issues. Scott's employment and executive compensation practice involves transactional advice and formal dispute resolution. He routinely works with organizational clients to guide them through the myriad of federal, state, and local laws and regulations that govern their businesses. He regularly counsels publicly-traded and privately-owned companies and senior executives in the negotiation and drafting of employment and separation agreements, particularly with regard to the role of restrictive covenants and protection of trade secrets. He litigates and arbitrates all aspects of employment relationships, including claims of sexual harassment, discrimination, theft of trade secrets, breach of restrictive covenants, compliance with wage and hour laws, worker classification, and retaliation. Scott has authored numerous articles and chapters in trade publications concerning these matters, as well as lectured on these topics at trade conferences in New York and Chicago, before professional associations, and at New York University, Stern School of Business. Negotiation of numerous employment and separation agreements for C-Suite executives valued in excess of tens of millions of dollars. Representation of businesses and executives in restrictive covenant and trade secret litigation. Dismissal of all claims against the CEO of a publicly-traded company alleged to be responsible for purported fraudulent acts of company. Successfully avoided personal liability for a hedge fund manager embroiled in a partnership dispute in complex proceedings before the Appellate Division and Court of Appeals of New York. Defense of numerous individual and class action wage and hour misclassification cases. Routinely prepares employee handbooks to develop and refine policies compliant with federal, state, and local law. Panel Moderator - "Tackling Employment Issues and Ensuring Reasonable Accommodation" - 30th Annual ALM Media General Counsel Conference (September 2018). Mr. Matthews is a member of the Nassau County Bar Association, Commercial Litigation Committee and the Employment Law Committee. In 2018, Mr. Matthews was recognized by Super Lawyers New York Metro edition for his work in Business Litigation. From 2012 to 2014, the same publication recognized Mr. Matthews as a "Rising Star" for his work in Business Litigation and Employment & Labor. While attending Fordham University School of Law, he received the Philip R. Fusco Memorial Award and served as the Business Editor of the Intellectual Property, Media and Entertainment Law Journal. He was also Symposium Editor of the Fordham Sports Law Society. 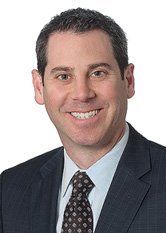 Mr. Matthews currently serves as pro bono counsel to Woodbury Jewish Center on Long Island.